To ramble means to wander aimlessly, for leisure or pleasure, especially in the countryside. If someone talks or writes in a wandering way, usually for a long time and without much order that’s also to ramble. If we are talking about a stream or path, it means ‘to have a course or direction with many turns or windings’ and if plants ramble, it means they grow in a random way. As a noun, a ramble is a leisurely walk, especially one taken in the countryside. We had been rambling all day and we were more than ready for our dinner. I can't stand this author; he just rambles all the time. The path rambled through the forest. A rose rambled along the wall. The couple spent their vacation going on long rambles in the mountains. Don’t confuse ramble with rumble. There is only one letter different in the spelling, but the pronunciation is different. To rumble is to make a deep, rolling, continuous sound and a rumble is the sound itself. 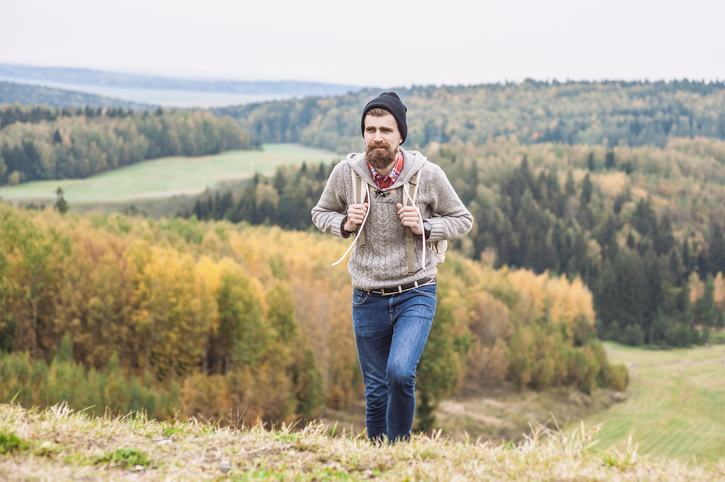 Ramble, as a verb meaning ‘to rove or wander,’ dates back to the mid-15th century, but its origin is uncertain. Some linguists think it may have developed as a frequentative of the Middle English verb romen (nowadays roam), meaning ‘to go or walk,’ perhaps romblen (which appeared a few times in the 14th century). Some speculate that the vowel change was due to the influence of the Middle Dutch rammelen, a variation of the verb rammen (to copulate), which was used to humorously describe ‘the night wanderings of amorous cats.’ The figurative sense, ‘to write or talk incoherently,’ dates back to the mid-17th century. The noun comes from the verb, and dates back to the early 17th century.